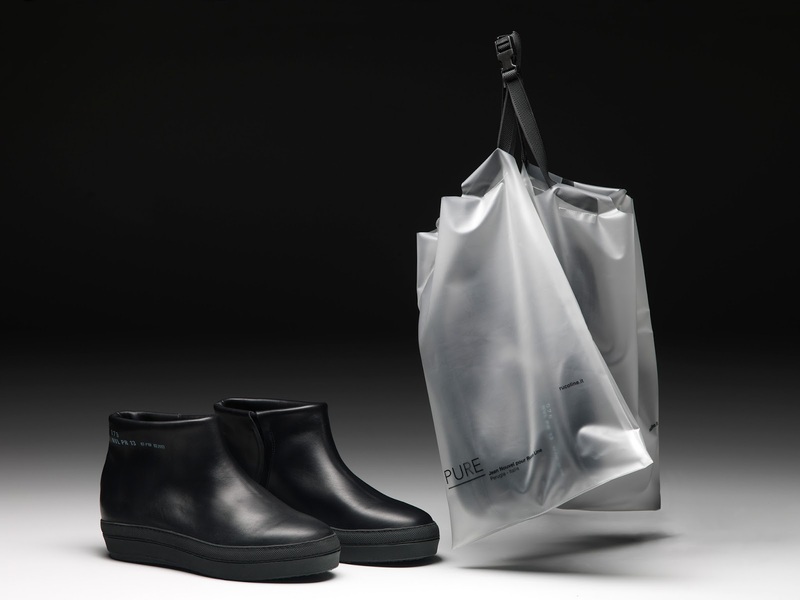 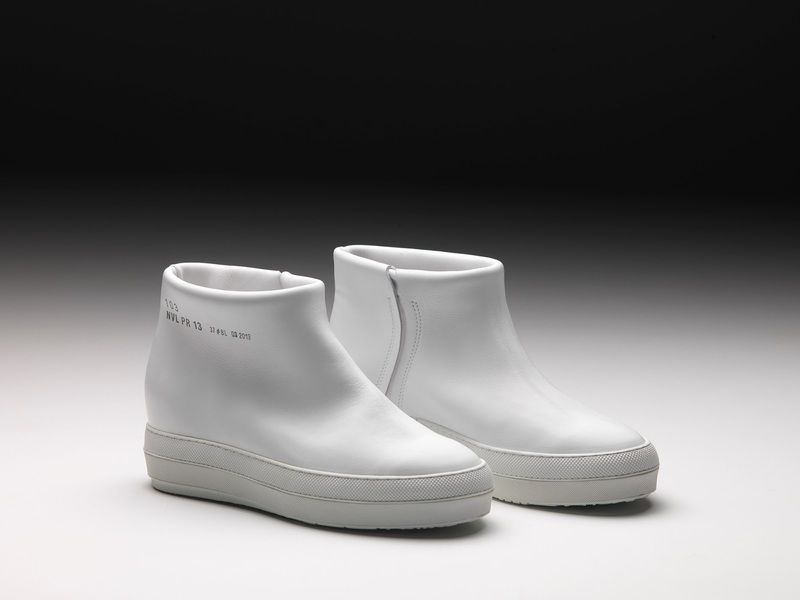 French architect Jean Nouvel and Ruco Line (a company renowned for designer sports footwear) have unveiled Pure, a footwear capsule collection that marks Novel’s first steps into the realm of fashion. 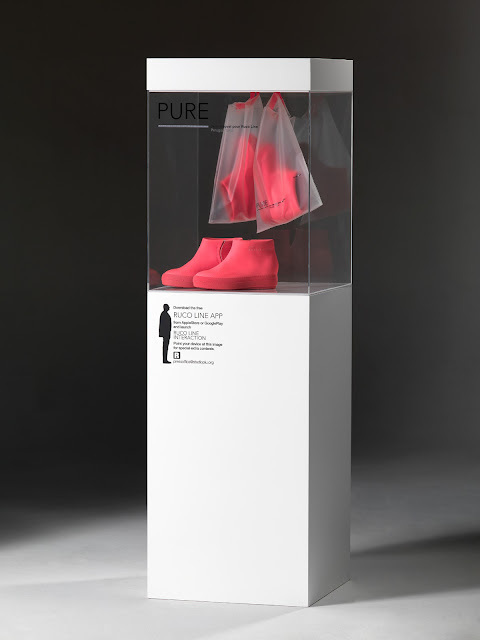 The starting point for the collection (unveiled during the 2013 Milan Design Week) was the exploration of the essence of the shoe, using a clean monolith shape and a minimal branding identity. 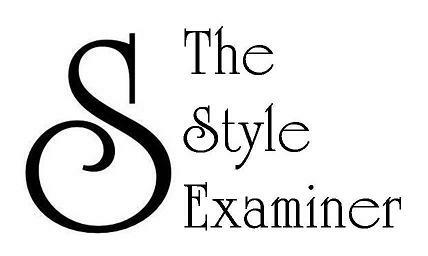 The shoes are made from fine calf leather in white, black, yellow and fuchsia and the only graphic detail that they incorporate is a stamp which indicates the style, colour code, product name and date of production.